Chandatai's book is not just a travelogue but a story of a journey from sympathy to empathy: she transformed a moment of frustration into a life of joy, for herself and thousand of others. She is one of the finest human beings I have ever met in my life. she is kind , generous , and determined to help people. she connects unabashedly with her disabled friends at Anadwan . 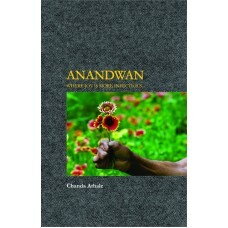 this book is a must read for all those who wish to change their lives for betterment of self and others. Dr. Sheetal Amte- Karajgi, Director Special Projects, Maharogi Sewa Samiti and granddaughter of late Baba Amte. A vivid and warmhearted account of a women's first encounter with an extraordinary community that changed her life. Reading it, you feel as through a dark forest inhabited by bears and violent insurgents; experiencing loneliness and uncertainty; and finally forming the strong friendships and nursing the leprosy patients that have brought her back to her second home in the rural centre of India every year since.